Gift Suggestion from Peeps: Great Holiday gift ideas! Looking for cool gift ideas? Have you checked out Peeps? They have really cool gift ideas from t-shirts to plush Peeps! 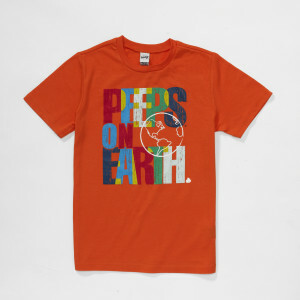 We received this really cool PEEPS ON EARTH t-shirt in the youth size. It’s bright, colorful and love the saying! It also comes in Adult sizes! Check it out at the Peeps store! There are also so many other great gift suggestions.